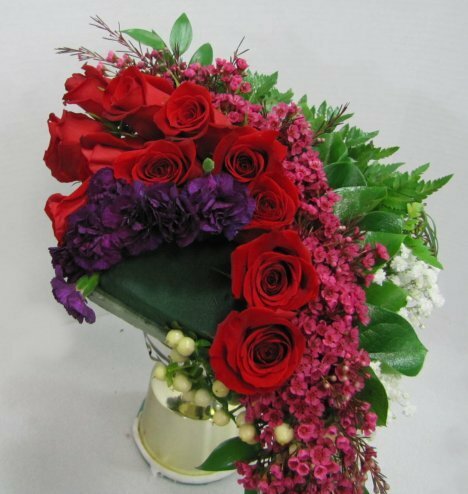 To continue this bouquet, carnations are added in the left of the open space on the florist foam. 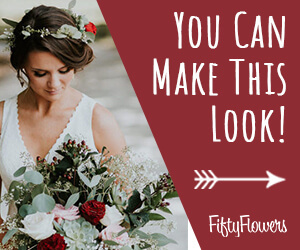 Carnations, which have been scorned as "too common" are making a comeback in wedding bouquets. 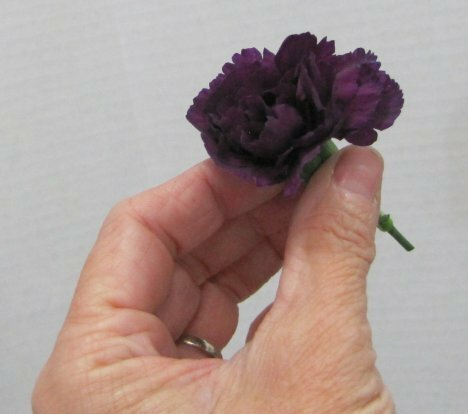 These delightful flowers come in both standard and miniature (sometimes referred to as "spray" carnations). They come in a large range of colors. Shades of purple have been cultivated in the last decade and are extremely popular .I began by tucking the first purple carnations in the extreme left corner of the bouquet holder. 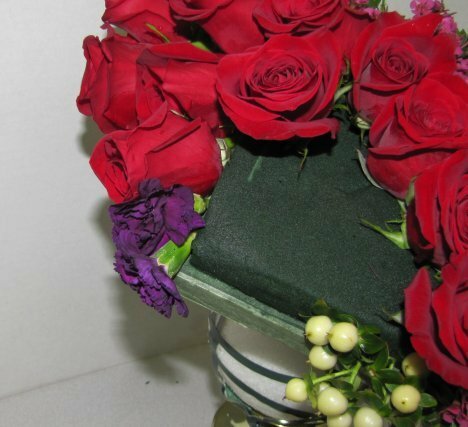 You can see that I fill in the open spaces between the roses so that no foam is see in the final design. Carnations, even the miniatures, can quickly fill in. The purple and red provide a delightful contrast. 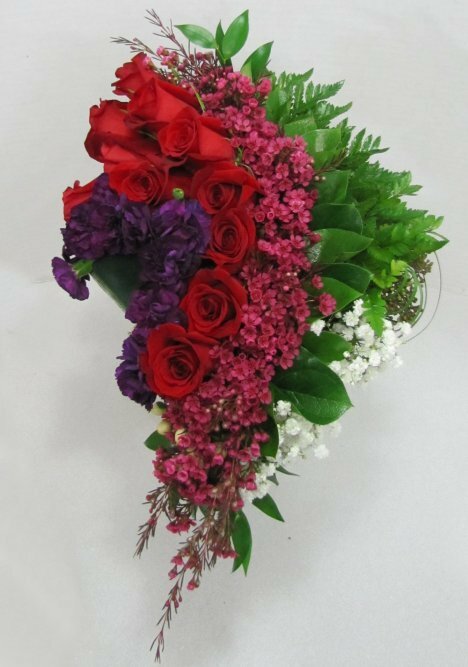 This bouquet can be easily changed in a color palette, such as using pink roses and pale lavender carnations. I'm leaving an open space in the very left side to insert some bright green button chrysanthemums.